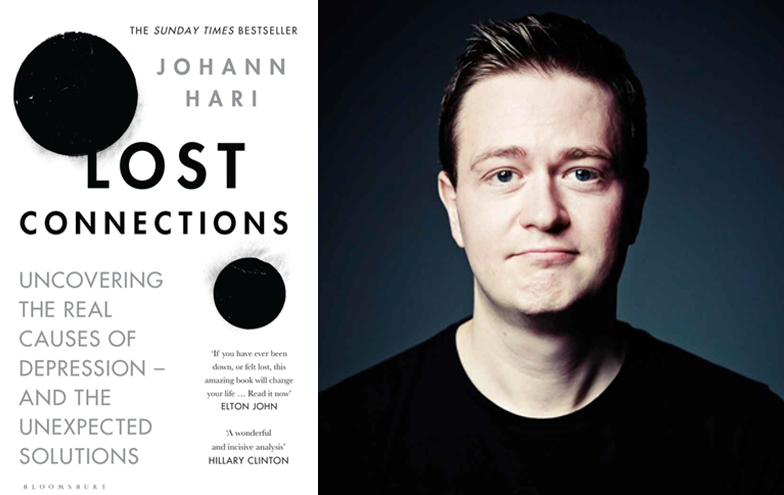 Johann Hari and his book Lost Connections: Uncovering the Real Causes of Depression - and the Unexpected Solutions. Image from crikey.com.au. I’ve just finished reading an excellent book, Lost Connections: Uncovering the Real Causes of Depression – and the Unexpected Solutions by Johann Hari. I can strongly recommend the book, which focuses on a ‘radical’ – and very sensible way – of viewing depression and overcoming the problem. Depression is NOT caused by a chemical imbalance in the brain, as is argued by drug companies and many biologically-oriented psychiatrists and large numbers of doctors. Moreover, there is little, if any, scientific evidence that ‘antidepressants’ alleviate depression. Johann Hari talks about social factors that cause depression and considers new socially-related ways of alleviating the problem. I will be talking about the book more in a future blog. Here, I write about a story that Johann relates about a South African psychiatrist, Dr. Derek Summerfield, who visited Cambodia to examine the impact of unexploded mines left behind by the Americans in the 1960s and 1970s on the mental health of local Cambodians early in the twenty-first century. This was at a time when drug companies were first introducing antidepressants into Cambodia. The companies had a problem in that there was no obvious translation in the Khmer language for ‘antidepressant’. Moreover, the idea of depression and use of drugs puzzled the people Derek Summerfield met. ‘Derek tried to explain it. Depression is, he said, a profound of sadness that you can’t shake off. The Cambodians thought about this carefully and said, yes, we do have some people like that. They gave an example: a farmer whose left leg was blown off by a land mine, who came to the doctors for medical help and got fitted with a new limb but didn’t recover. He felt constantly anxious about the future and was filled with despair. They then explained that they didn’t need these new-fangled antidepressants, because they already had antidepressants for people like this in Cambodia. Derek was intrigued, so he asked them to explain more. When they realized that this man was despondent, the doctors and his neighbours sat with him, and talked through his life and his troubles. They realized that even with his new artificial limb, his old job—working in the rice paddies—was just too difficult, and he was constantly stressed and in physical pain, and that was making him want to just stop living, and give up. So they had an idea. They believed that he would be perfectly capable of being a dairy farmer, and that would be less painful walking on his false leg and fewer disturbing memories. So they bought him a cow. In the months and years that followed, his life changed. His depression —which had been profound—went away. “You see, doctor, the cow was an analgesic, and antidepressant,” they told Derek. To them, an antidepressant wasn’t about changing your brain biochemistry, an idea that seems bizarre to their culture. It was about the community, together, empowering the depressed person to change his life.